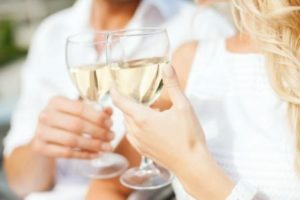 If you are looking for the greatest selection of Champagne tours on the internet, we are pleased to inform you that you have come to the right place! Typical Champagne Houses that are visited on our Champagne tours include world-famous estates such as Veuve Clicquot, Möet and Chandon, Pommery, Taittinger and Billecart-Salmon, and no trip to Champagne would be complete without visiting at least one of our carefully-selected boutique Champagne Houses, who offer an authentic behind-the-scenes experience. Here at Grape Escapes, we are true specialists in the Champagne region and with over a decade of experience, we offer a huge selection of Champagne tours to suit all tastes and budgets! 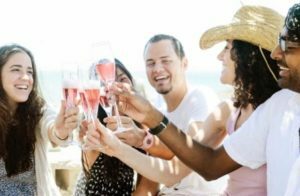 We can arrange your travel, accommodation and Champagne tours for you, and all you will need to do is turn up on the day and enjoy the bubbles. As the largest operator in the region, it is always more cost-effective to book your tour as part of a package including travel or accommodation, however if you have already made arrangements which cannot be cancelled, we offer a selection of day tours departing from Reims, Epernay or more rural locations. 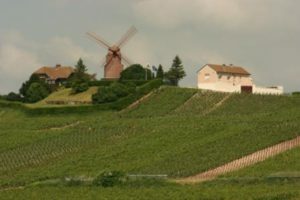 We also offer day tours to Champagne from Paris, either by train or with a driver/guide. Our expert sales team would love to hear from you on +44 (0) 1920 46 86 66 or at info@grapeescapes.net to discuss your requirements and suggest suitable packages, however we have listed below some of our favourite Champagne tours, which are also available to book online. Our most popular Champagne tours, these fabulous short breaks are available throughout the year, so that you can choose your travel dates. Have a look at our Epernay Essential and Essential Reims breaks, and prices in this range start at £313 per person. 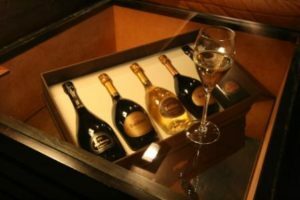 Reims and a full day of Champagne tasting with a specialist guide as part of a small group. Prices start from £472 per person. Detailed information can be found here. If you are looking for the ultimate luxury experience, our Exclusive Champagne tour will really pop your cork! 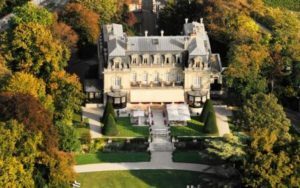 Based at the very best 5* Château in Champagne and including luxury transport, private Champagne tours at prestigious Champagne Houses such as Dom Pérignon and Michelin-starred dining, there is no better way to experience Champagne. Our Exclusive break offers you the complete freedom to fully customise your trip, from your travel dates to the Champagne Houses which you visit. See here for detailed information and prices. As well as offering tailor-made itineraries for stays in the vineyards as the guests of Champagne Houses, we offer a fabulous Château break, a Champagne and Spa holiday and our Champagne and Gastronomy package is a must for foodies.